Food and recipes | Run. Work. Live. Repeat. First, came the snow days and school closures. With my children home for two days straight I found myself working out indoors at all sorts of crazy hours to meet my training schedule. Then the creeping crud arrived as I suspected it would. Tarzan got it first on Thursday. It hit me next on Friday night. I woke up with an awful headache and I couldn’t get back to sleep until I took some Tylenol. I showed up on time and I ran the first 6 miles with her. I knew I was in trouble already because I felt sluggish and not myself with 14 more miles to go. We stopped briefly after the first hour to meet up with the rest of the Distance Divas for our weekly group run. While everyone gathered I took a quick potty break. That’s when I noticed how raw and sore my throat now felt — not a good sign. I’m prone to strep infections when I get worn down. That’s when I came up with plan B. I ran just a few more miles and called it a day. By the time I was in my car driving home my body began to ache. I went home and slept a lot. Today I’m still fighting it off. I felt a bit better this morning and I even ran a few miles at the gym. I find that a mild workout to clear the sinuses is helpful as long as I don’t overdo it or if my chest isn’t congested. So far, so good. My throat still hurts and I’m drinking lots of fluids — juice, Gatorade, water, and soup broth. When I’ve had an appetite I’ve pulled out the heavy artillery: lots and lots of cooked garlic. I usually add it to store-bought chicken noodle soup or broth to make it more palatable plus medicinal. 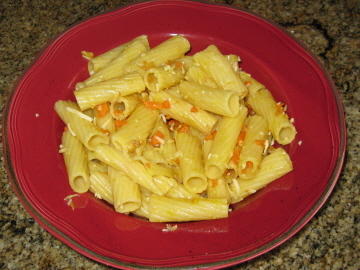 Last night I cooked this carrot-garlic pasta recipe (pictured above) that I got from my sister many years ago. I believe she first found it in a vegetarian cookbook. This pasta dish is good for carbo-loading, cold-busting, possibly keeping vampires away and a spousal-repellent unless you feed it to your whole family. Fortunately my family ate it last night so we can fire-breathe on each other today. It’s potent but yummy. I do not remember the exact recipe portions anymore as these days I cook it by Braille. This is how I prepared it last night. First, saute the garlic for 2-3 minutes. Then, add the chopped carrots for another 3 minutes. Then add red pepper flakes, white wine and lemon juice, and cook for another 3-4 minutes. Drain the cooked pasta, then add the carrot-garlic mixture to the noodles. Stir well and coat all the noodles. Then sprinkle in the parmesan cheese and serve. I figure if life is going to give me lemons right now I might squeeze them, chop up some garlic, add olive oil and saute them altogether to make something decent out of it. Fortunately, the rest of my week is step-down mileage. Stay tuned and bon appetit! Mileage yesterday 11.25; mileage today: 5; Denver to Boston miles logged: 1,242.50; Miles left to go: 527.50. 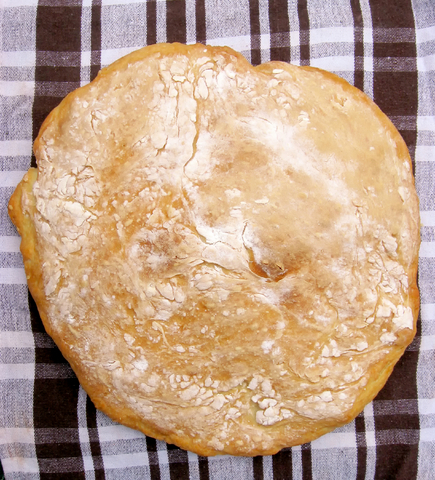 Perhaps it was something in the air — the fresh-baked smell of my mother’s pogacha (homemade bread)? Or maybe it was because today (Jan. 7th) was Serbian Christmas. Whatever the reason I felt more inclined to carbo-load on baked goods than rack up the mileage, but I finally forced myself out the door by mid-morning and ran.7.5 miles. So what is Serbian Christmas, you might ask? It is the date Christmas is celebrated, according to the old, Julian calendar and the Eastern Orthodox church. Besides Serbians, Russians also celebrate it. It falls on Epiphany on the Western church calendar. That’s the best, shortest explanation I can give you without overwhelming you. If you are inclined to google it, you can find a lot more. When I was growing up my family celebrated Jan. 7th in lieu of Dec. 25th. Now that I have my own children we celebrate both Dec. 25th and Jan. 7th. Tarzan and Jane love it — Christmas with Santa followed by a second Christmas with Baba (grandma in my parents’ language). Just like Christmas on Dec. 25th, a few weeks ago, I wanted to lay around like a sloth all day and OD on mama’s yummy food. Frankly, It was the threat of this blog — not having anything to post and not meeting my Denver to Boston mileage goal — that kept me honest, Dec. 25th and today. I ate a lot of pogacha after today’s run. Pogacha is hard to resist. It’s just simple white, flat bread but there’s something about the combination of fluffy texture and crust that makes it so good. This is what it looks like. Here’s a pogacha recipe I found on a food web site as my mother cooks by braille and it’s difficult to write down and duplicate her methods exactly. This one, however, looked pretty close to mama’s. By noon tomorrow I should be able to tell you whether or not all that pogacha was a good move or not. If it is, I may have to add a new item to my pre-race routine. .
Who knows, maybe I can write a Balkan cookbook for runners, too? Mileage today: 7.5; Denver to Boston miles logged: 1070; miles left to go: 700. Made with cannellini beans and kale it packs a nutritional punch. Since I first tried it last year it’s become my go-to, pre-race meal. The recipe calls for crusty white bread, but I substitute rye or dark bread. Lately, except for Saturday morning’s run when the temps were in the 20s, it hasn’t felt like soup weather in Denver. We have yet to receive a significant snowfall. While I’m enjoying the respite from shoveling I hope we get a white Christmas. I’m also looking forward to colder weather so it gives me a good excuse to cook this recipe and some others more often. I grew up in a household where goulash and chicken noodle soups made from scratch were staples. My mother was the polar opposite of the “Soup Nazi” from Seinfeld. She never held back her soups. Her marching orders were to eat what she gave you. To do otherwise was a sin. Luckily for me I liked most of her soups and stews. The cheap cuts of boiled beef she often threw in, however, are a story for another blog. … We won’t go there today. Attached is the “Ribollita” recipe. It’s vegetarian and good for Lent. You can skip the optional grated parmesan for a pure vegan meal. Mileage today: 5.25; Denver to Boston miles logged: 940; Miles left to go: 830. 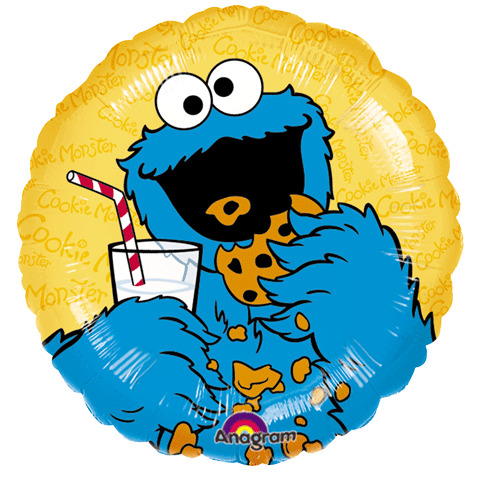 “C is for cookie. That’s good enough for me. I went to a cookie exchange in my neighborhood the other night. It turned into be a girls’ night out, just stumbling distance from my front door. We noshed on queso dip and chatted over glasses of wine about work, life, child-rearing and husbands. The latter two subjects provided anecdotes for humor. The Oreo balls and decadent goodies sweetened the socializing. My neighbors and I mingled in the flesh for the first time in months — away from the pull of unwritten Christmas cards and gift-buying, and computers or cell phones. That’s not a small feat in our busy, dialed-in world. Sure, all of us “connect” on Facebook all the time, but there’s no substitute for a smile in person or the sound of a friendly voice — at least not in my book. I miss socializing with real human beings, not just people’s profile pictures. I felt this same way last weekend with the Distance Divas when I got to run with a friend I hadn’t connected with in weeks. It was such a simple pleasure. I listened to her share tidbits about herself and her life, and I filled in the gaps of my own story when she asked, not via text message or the “newsfeed” but in person. She and I haven’t known each other long, just since I got involved with this Divas this last year, but I already feel a kinship for her and the others. We are like a sisterhood for those who strive through sweating. These kinds of friendships and running partners are like everyday cookie exchanges when we make actual human contact. Unlike the seasonal cookie exchanges, however, they fortify us during the whole year, not just the month of December. Sure, we pass the miles together stronger as running partners, but these relationships also dollop a pinch of resilience and dash of hope when our souls need them, too. And often it’s friends like these who sugar-sprinkle the color back into the world when it otherwise tastes bitter. My friend Pam (who’s been a virtual running partner of mine for years) did this for me the other day when we talked on the phone. Her words and wisdom imparted a greater gift to me than any sugar high could provide. Plus it didn’t cost me any calories and her advice will sustain me much longer. That’s not to say I don’t enjoy a good cookie (or two) on occasion. Sharing them with good friends just makes them yummier. I’m grateful for both kinds of exchanges in my life — the cookie kind and the friendships to go with them. Attached is my virtual cookie exchange to you — the Nestle Tollhouse recipe for oatmeal scotchies. Winter arrived practically overnight here in Colorado. No, it hasn’t snowed yet but it’s chilly enough to do so and hard to believe I ran the Denver Rock N Roll Marathon just a week and a half ago in shorts and a technical T-shirt. Cold weather and comfort food go hand and hand in my book and fortunately my children agree with me. 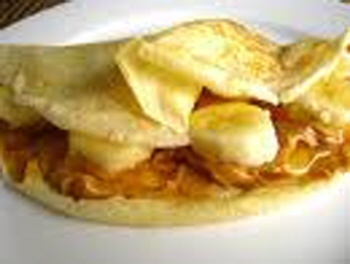 One of our favorite treats is Baba’s palachinkas, my mother’s crepe recipe from the old country. They can be made sweet or savory depending on what you put in them for filling. Yes, they are calorie-laden and just looking at them makes me have to run an extra mile or two. And you might also ask why include recipes in a running/marathon/mothering blog? The best answer I can give is, man cannot live on GU or PowerGels alone, nor should he. Yuck, I know I sure can’t. For those on a diet or lactose intolerant, I’ll warn you now. Look away. For the rest of you hungry runners, curious readers or random foodies, here’s a recipe I hope will live up to crepe expectations. 2. Add 2/3 cup water and 2/3 cup milk and whisk flour, water and milk together. 3. Add three eggs and whisk each in, one at a time. 5. Melt 3 tablespoons butter and add to the batter. Batter can be refrigerated for an hour or two or cooked immediately. 6. Butter a crepe pan on high temperature. 7. Pour batter evenly in pan and flip with spatula. Lightly brown both sides. Makes about a dozen or so crepes. One of my favorite reasons for running early in the day is breakfast. Some people drool over gourmet dinners, but breakfast has always been it for me. I think it’s because you get all day to burn it off unlike going to bed after a heavy dinner. When a breakfast is done right, infused with endorphins from a long run, it tastes like manna from heaven to me. BK — before kids — I went out for breakfast a lot. These days it doesn’t happen often, but I relish when it does. At home I take the time with my children to make pumpkin muffins or chocolate chip pancakes on the weekends. They like the ritual, too. Since I did Weight Watchers a few years ago I’ve developed a fancy for slowed cooked or steel cut oatmeal made with half water and half milk, and topped with apples or bananas, nuts, sunflower seeds or occasionally raisins or chocolate chips. I also love omelets with feta cheese and grilled peppers, onions, spinach and artichoke hearts. When I lived in Northern California after college my favorite breakfast spot was Hobee’s and loved the Papa’s Pappas — hash browns with black beans, cheese and guacamole. In Santa Fe, New Mexico, where I lived and ran for eleven years, I enjoyed the Tecolote Cafe’s breakfast burrito, christmas (that’s red and green chile together) with bacon. Recently I tried the Original Pancake House in Greenwood Village, Colorado, and had the lemon, blueberry waffles — mmmmm! It makes me look forward to running tomorrow just thinking about those places and flavors from my past. Got your own favorites? Send them my way and I can post them, too. It’s never too late to break fast for breakfast. Mileage today: 5; Denver to Boston miles logged: 578; Miles left to go: 1,192.